"Today it’s not about ‘get the traffic’ — it’s about ‘get the targeted and relevant traffic"
Search engine optimization (SEO) is the process of affecting the online visibility of a website or a web page in a web search. When a website appears more frequently in the search results list, it will receive more visitors and these visitors can then be converted into customers. We use SEO to target different kinds of search, such as image search, video search, academic search, news search, etc. SEO is focused on optimizing a business' online presence so that its web pages will always be displayed when a user searches for its products or services. SRDV Group uses SEO to determine how search engines will work and the computer programmed algorithms will manage search engine behavior, what people search for, the actual search terms or keywords typed into search engines, and which search engines are preferred by their targeted audience. Optimizing a website may involve editing its content, adding content, doing HTML, and associated coding to both increase its relevance to specific keywords and to remove barriers to the indexing activities of search engines. 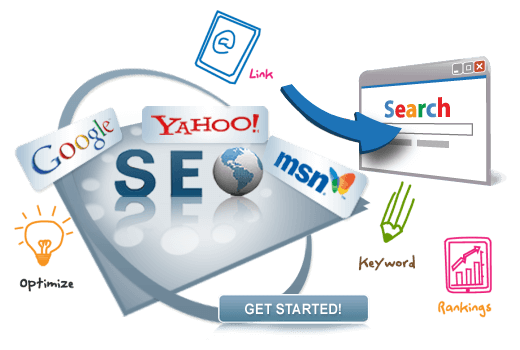 SEO also promotes a site to increase the number of backlinks, or inbound links. In short, SEO creates a remarkable presence in market by increasing the number of visitors which can be then converted to customers resulting into great business growth.